Sign up to receive great lifestyle tips and Yoga practice videos for women's well-being and to be among the first to know about upcoming events & retreats and class updates. Take control of your own health and well-being with Yoga and Qigong designed especially for our female bodies and energy cycles. This nurturing and empowering practice helped me overcome serious fertility problems and now keeps me healthy and sane amidst busy daily life. Let me share these tools with you in my Retreats and Cambridge Yoga classes, Qigong classes and 1-2-1s, so you can navigate your own life challenges with groundedness, serenity and calm. 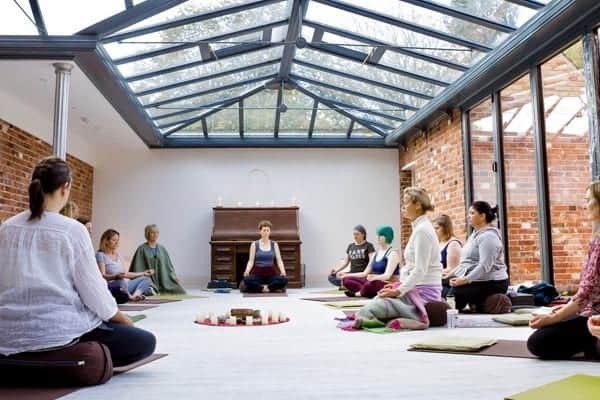 Treat yourself to a weekend Yoga retreat in a gorgeous Norfolk house or a Qigong day retreat in Cambridge. These are safe spaces for you to slow down and reconnect to yourself, others and the source of true feminine power. "This isn't a Yoga Retreat! It's so much more," in the words of a happy participant at a recent retreat. 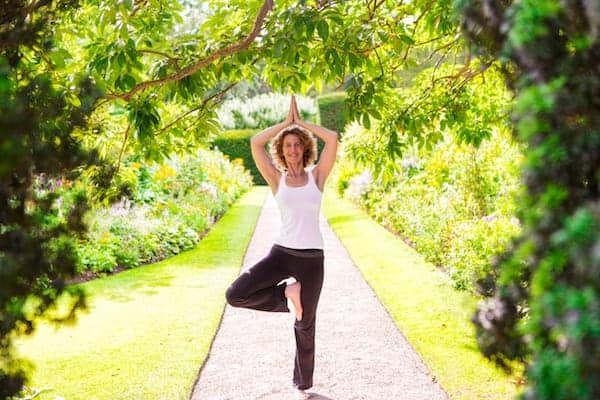 Make some regular time to nurture yourself at my Cambridge Yoga classes and Qigong classes. Or, if you'd like some personalised attention, come for 1-2-1 sessions at my lovely studio. Whether you are looking to stretch, relax, energise, balance, heal or conceive, my self-reverent practice will help you on your way. "I have been going to Tiffany's Yoga and Qigong classes for a year and am so pleased to have found this lovely teaching style and such a dedicated and skilfull teacher. I come away from classes feeling calm, energised, strong and supple. I also really enjoy the friendly atmosphere created in the classes." "I have just started yoga - aged 51 - and it is a revelation. I have ankylosing spondylitis and have worried my body wouldn't cope with certain positions… Tiffany treats everyone and every body as an individual… She has endless patience and a keen eye… It is treasure. Thank you." Why do I work with women only? I'm often asked this question - some think it's odd and some worry that I'm ignoring men, who, of course, need support too. But I've chosen to work just with women for the simple reason that then I can so much more effectively address our particular - and so often neglected - feminine needs (eg physical, energetic, emotional, hormonal). And what do my classes look like? When you come to one of my Cambridge Yoga classes, Qigong classes or 1-2-1s, it'll just feel like any 'normal' relaxed and friendly session. You might notice a special emphasis on encouraging you to move slowly, fluidly and mindfully, on turning your curiosity inside your female body and on developing an embodied awareness of nature's cyclical rhythms flowing within you. And you'll probably hear me saying 'womb' or 'breast' or pointing out the particular benefits of certain movements to our female health! This focus is strongest in my WellWoman Yoga sessions.